When your restaurant is named after your grandmother, pride is paramount. 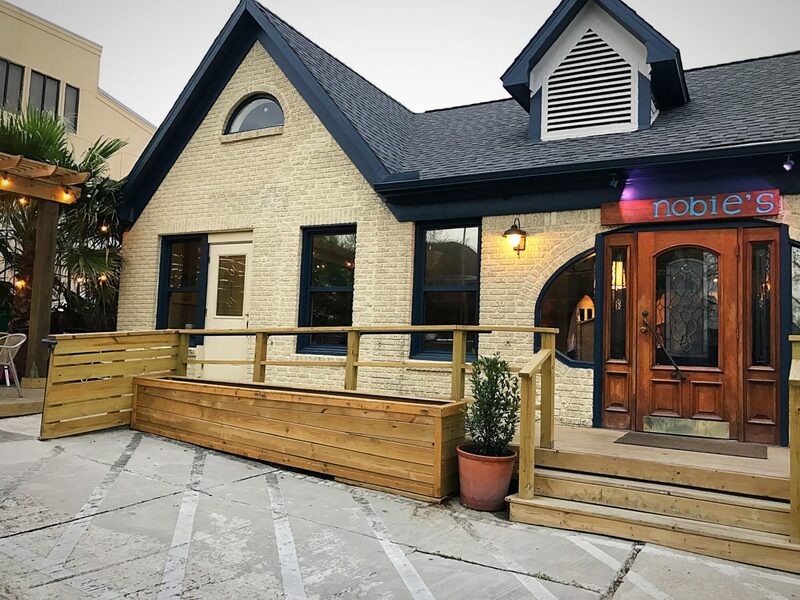 Executive chef Martin Stayer’s restaurant Nobie’s is a bright place during the day—thanks to plenty of natural light—and tastefully lit after the sun has set. Wood paneling, colorful art on the walls and vibrant, carefully manicured platings all contribute to the warm atmosphere. The 1930s-era bungalow formerly housed French restaurant Au Petit Paris. Hi-fi audio gear is incorporated into the design throughout. A server said that Strayer provides the records from his personal collection and changes the selection every other week. On the night we were invited to visit, the evening was energized with acid jazz and pop beats. It’s just one of the many ways the Nobie’s experience is expertly curated by their team. Dishes on the menu change often; however the “sharing is caring” philosophy is a permanent fixture. Three-quarters of the menu is devoted to spreads, dips, “small-ish plates” and elevated finger foods. All those temptations means ordering can quickly get out of control. The “Old Fashioned” chicken liver mousse was a clever interpretation, with cherry jelly layered on top of the mousse. 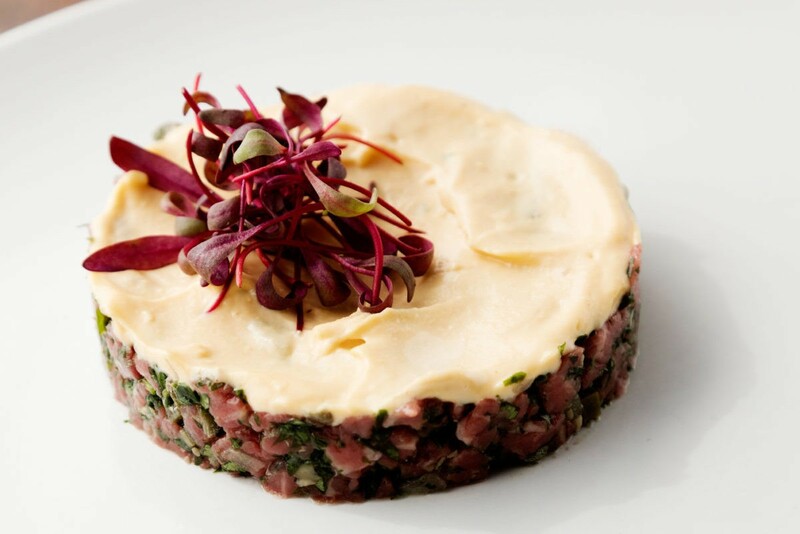 Spice lovers will enjoy the Texas Tartare which adds diced jalapeno and opted for deviled eggs over runny yolks in a southern twist. 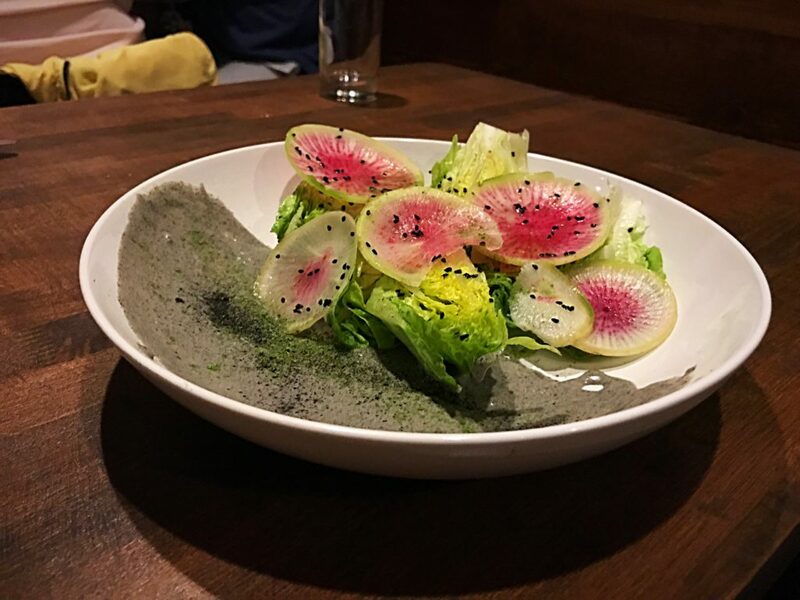 Despite being a devout carnivore, my personal favorite was the vegetarian Finger Painting Salad — a combination of baby lettuce, watermelon radish and allium that turned more than a few heads on it’s way to the table. All jokes aside, manager/sommelier Dominic Ruiz and bar manager Sarah Troxell have assembled an impressive bar no matter what libation you love. Finding a “good” beer selection is rare enough, but having Mikkeller, Funkwerks in bottles and The Bruery on draft was a fantastic surprise. The fact that each were priced between $6 and $10 was icing on the cake. Dominic’s expansive wine list is full of rare and special bottles as well. The menu also highlights rotating cocktails — yet another sign that the staff here enjoys challenging themselves to constantly come up with new concepts. The Oaxaca Dreams cocktail perfectly blended Del Maguey Vida mezcal, Italian liqueur, citrus and Fresno chili pepper into a smoky yet sweet sip that was pleasant to the last drop and left me thirsty for more. 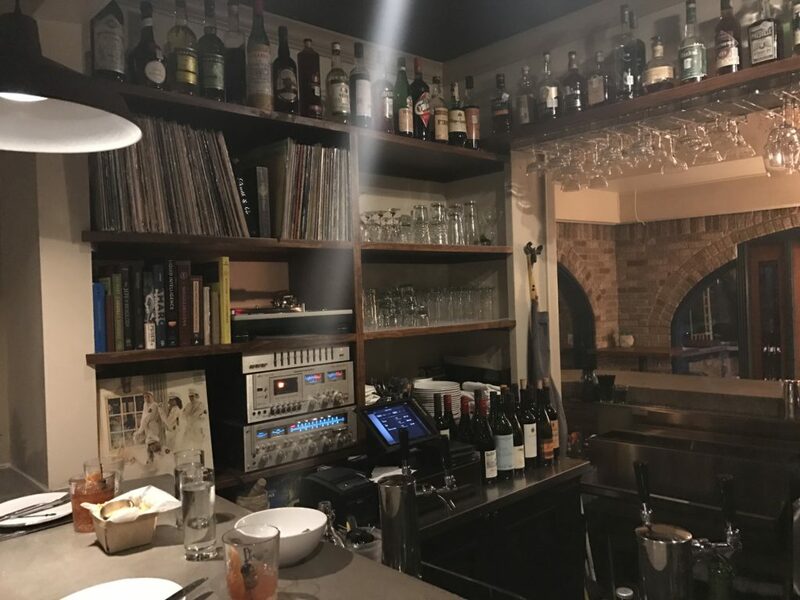 With an extensive selection of spirits, daily cocktail specials, and menu options that are pleasing to both sight and palate, Nobie’s is sure to provide an enjoyable evening. It is located at 2048 Colquitt Street in the former Au Petit Paris location and is open Tuesday through Saturday. I love this place. Great food, fun atmosphere, excellent wine selection and a sound system that tops the relaxed atmosphere. Where else in Houston can you enjoy fine dining style food, yet wear jeans or shorts to enjoy the place…with a price you cannot beat. It is a must. Fresh food from local farms and fresh seafood from the gulf delivered daily. I couldn’t agree more, though I noticed most people in a button down and slacks. I hope to sit at the bar on my next visit, it’s the heart of the place. Thanks for the comment!